We’re a small family owned and operated business with our customer’s best interests at heart, which means we’ll always provide you with the best value for money on all replacement parts. Check out our brake and clutch services below. Don’t put up with squeaky brakes! If you’ve noticed some issues with your car’s brakes, such as a grinding or squeaking noise, loose handbrake, shuddering when you slow down – it’s time you brought your car in for a check-up. 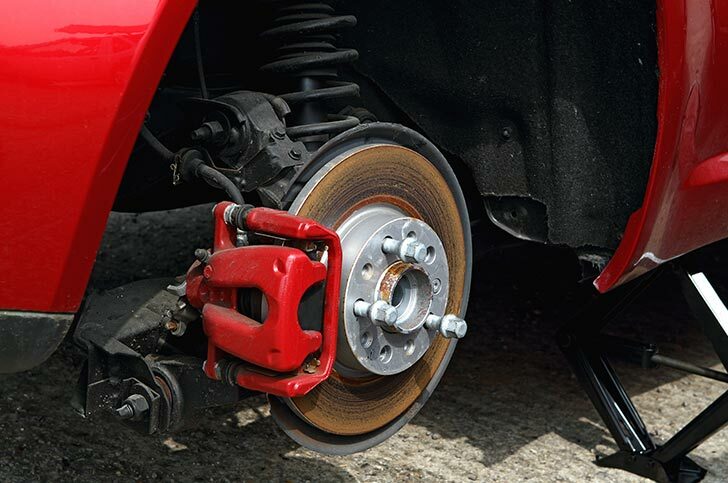 Our qualified mechanic can provide all your brake service needs. We can check the condition of your current brake pads, bleed them, test them, and repair or replace them where needed. You can rest assured – we only use quality parts and products and we test drive every car before and after the service. All our work comes with a 12-month warranty. If your car is a bit smelly, it’s leaking fluid, and you’re finding it hard to get into gear – it might be time for a new clutch. As with all our services, we only use quality parts and products and test drive all cars before and after the service. All our work comes with a 12-month warranty. Call now for a free over the phone estimate. We’ll do our best to provide an accurate price upfront so you’re aware of the costs – and we’ll let you know in advance if any additional work is required before starting.